Here are examples of both leaflet and postcard design, that we have produced and printed. 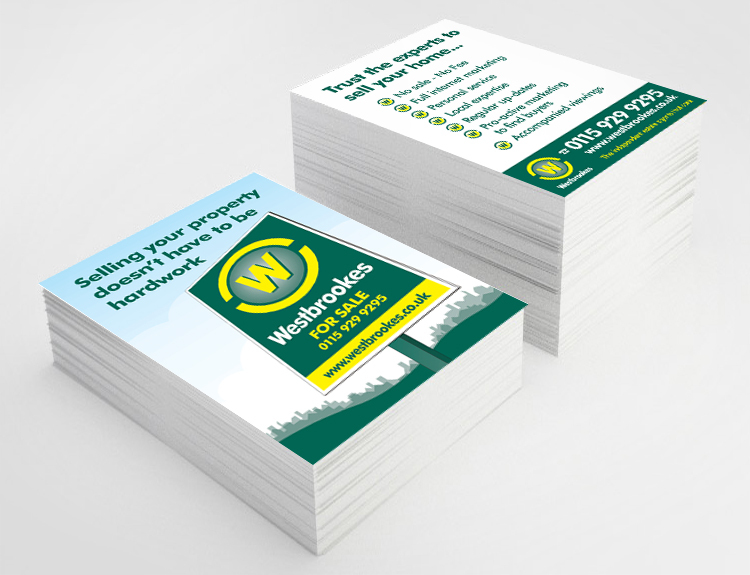 The first is an A6 full colour postcard we designed and created for Nottingham Estate Agents, Westbrookes. We also created the sale board illustration, based on their new board design. The leaflet was mass mailed in areas where the company wanted to increase business and was very successful. 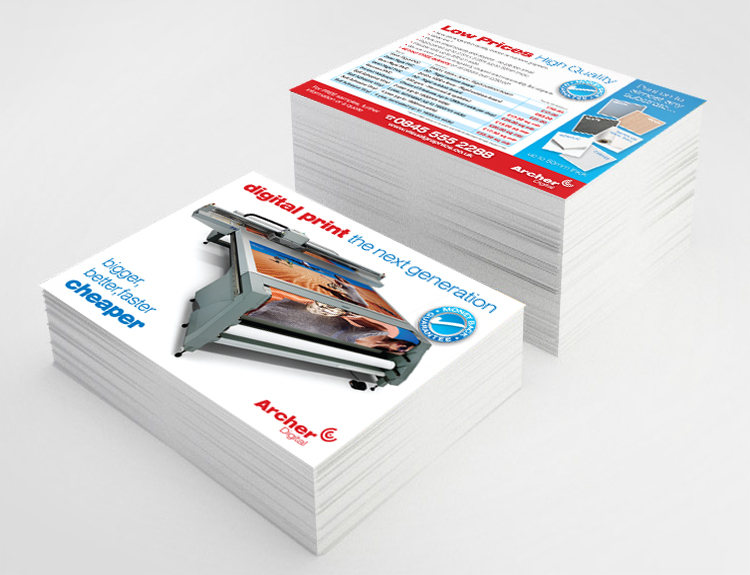 The second example is an A5 full colour mailer we designed for Archer Digital (part of Archer Signs of Hucknall, Nottinghamshire), to promote their new, high end, digital printing press. Again this was mailed to prospective customers and was very well received. If you need to promote your services, products, business or organisation, call the experts, Andrew Burdett Design. We have decades of marketing and design experience, so we are not only creative but we can get the most out of the tightest marketing budget and help your business grow! For a FREE quote or for further information on our mailer, leaflet and postcard design and print services call 01433 208307.